Just set the geiger powerlantern to three already! Tired of not yelling at your friends? Spaceteam gives you the excuse you've been waiting for! A party game for Android and iOS devices, this creative co-op title supplies you with sci-fi things to yell to the group while everyone scrambles to keep your ship flying. Work together as a space team, or you'll die as a space... non-team. Step one: gather a bunch of your friends together, each with an Android device, an iPhone or an iPad. Step two: start yelling. Spaceteam creates randomized control panels on each person's screen with crazy commands someone came up with while they were really tired, really drunk, or really full of cookies and cake. Objectives appear at the top of the screen with requests like "Set granular putty to two". Got a granular putty dial on your screen? Set it to two! If you don't, you'll get yelled at even more. Trust us on that one. Spaceteam sounds a lot like Artemis Spaceship Bridge Simulator in concept, but it's much simpler, much crazier, and contains a lot more shouting. Think of it as a wild and geeky party game that requires teamwork and a good set of pipes. The video above shows some of the insane things you'll do with your mobile device, including shaking and fixing loose panels by dragging them back on the screen. 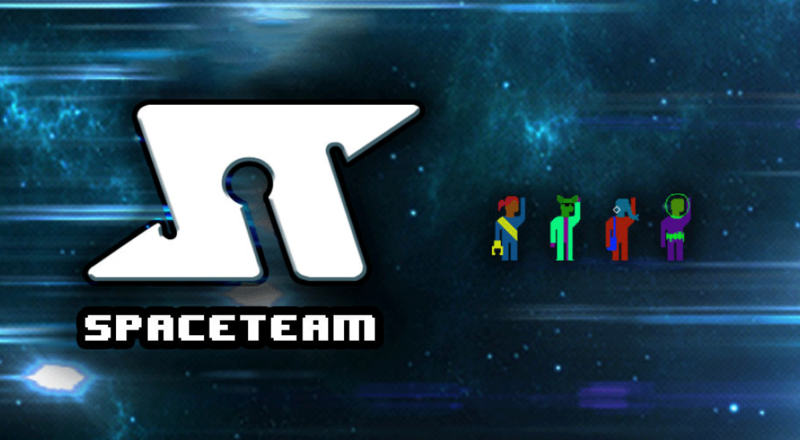 Spaceteam is currently available for iOS and Android devices via their respective marketplaces. It supports two to four player co-op via Wi-Fi, with support for cross-platform play. Page created in 1.2639 seconds.